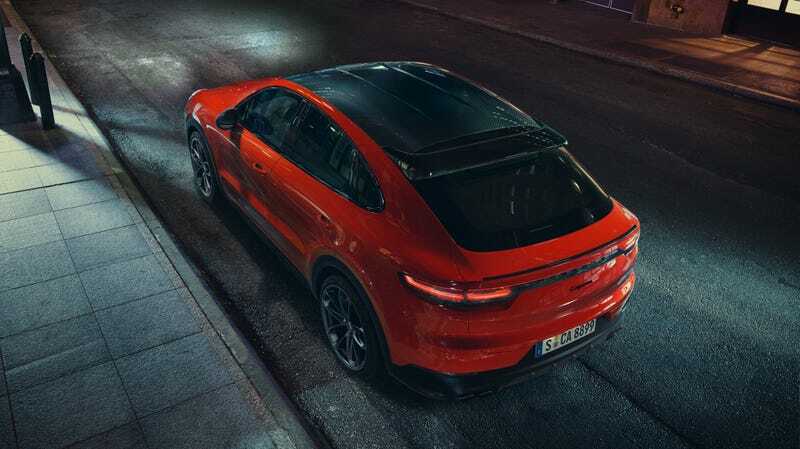 The 2020 Porsche Cayenne Coupe dropped today, boasting a steeply raked rear window and a name that does not mean what Porsche says it means. But no matter! Shut it down everyone—I’ve already found the best and classiest part of the car. As I was scrolling through the new Cayenne’s press photos, I came across a shot of its seats and paused. Would you look at that—patterned center inserts! But it’s not just any pattern. It’s called Pepita and it’s a throwback to the original pattern used in 1964, according to a Porsche release. Modern 911s that have used it are the One-Millionth Porsche 911 and the Porsche 911 R.
And no, apparently, it’s not called houndstooth, it’s called pepita, which is its own thing. Supposedly, a houndstooth pattern looks like a collection of tiny windmills, while pepita is more checkered, according to Hagerty. Recaro, founded in 1963 by the Reutter family, first produced Pepita pattern for customers in December of that same year. The first Porsches to use the Pepita design were late 356C models. They were followed by the Porsche 901/911 and Porsche 912. The last use of Pepita covers by Recaro is documented for the first generation of the Recaro Idealsitz (Ideal seat) in 1970–71. Pepita could be had not only in black-white, but also in brown-beige, blue-green, and red-beige. Porsche again offered Pepita seats as an option for its 911 legacy model (celebrating 50 years) in 2013. These seats were not produced by Recaro. Anyway, the Pepita seats can be had on the new Cayenne Coupe and Cayenne Turbo Coupe as part of its three new lightweight sport packages. If it were me, I’d totally shell out extra for the seats. One, because they’re classy as hell and two, because the seats without them just look unfinished. Anyway, this has been your style advice for the day.